This "Gorazde" A/P mine must not be confused with the Gorazde A/T mine. `Gorazde' is a pressure-operated Anti-Personnel (AP) mine named after the town where it was first discovered and is thought to have been manufactured. The mine has a plastic outer casing which is pointed at the base and has a broad flange at the top. 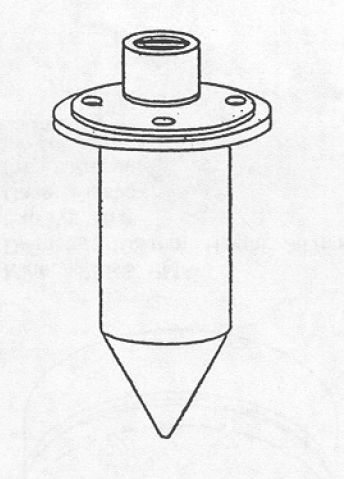 A plastic plunger fits into the hollow body from the top, retained by a force-fitted plastic collar. 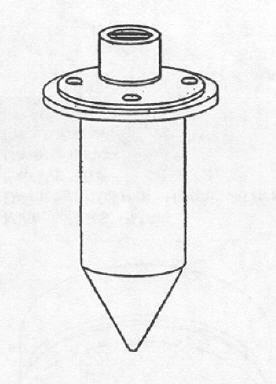 The explosive charge in the top of the plunger is a `spit-back' detonator assembly of the type used in Russian Anti-Tank (AT) submunitions: this is a very small shaped charge, pointing upwards. 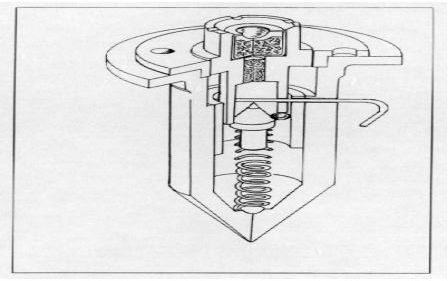 Beneath the plunger is a spring-loaded striker made from aluminium: this is retained by a ball-bearing held in a notch at the base of the plunger. A safety pin runs through the mine body and plunger to prevent any movement until the mine is armed. The mine is matt black. This mine seems to be copied from the British C-3 (Elsie) A/P-mine. It seems that the explosive charge on this mine is actually the detonator which was produced for GPV-2 piezo-electric fuse. 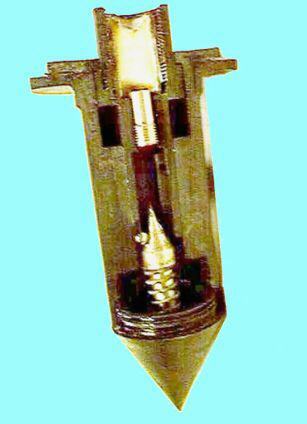 This fuse is used on M69 (for tank T55) and BK-3 (for T12 AT cannon) 100mm HEAT shells. The detonator itself was produced pre-war in Pobjeda Goražde factory and when the war started they used the remaining stocks to produce AP mines. Contents is 5 gram of tetryl and PETN.